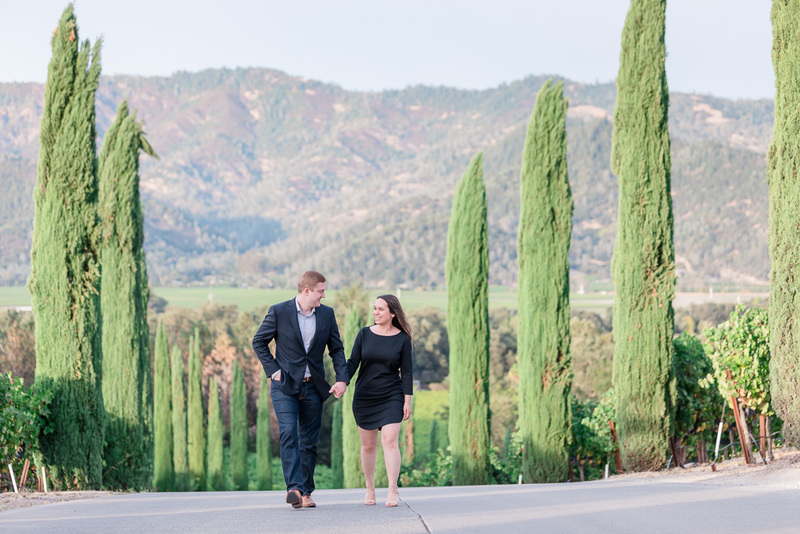 Last week, Scott & Carina took a trip down from their home in Seattle to visit Napa and San Francisco. 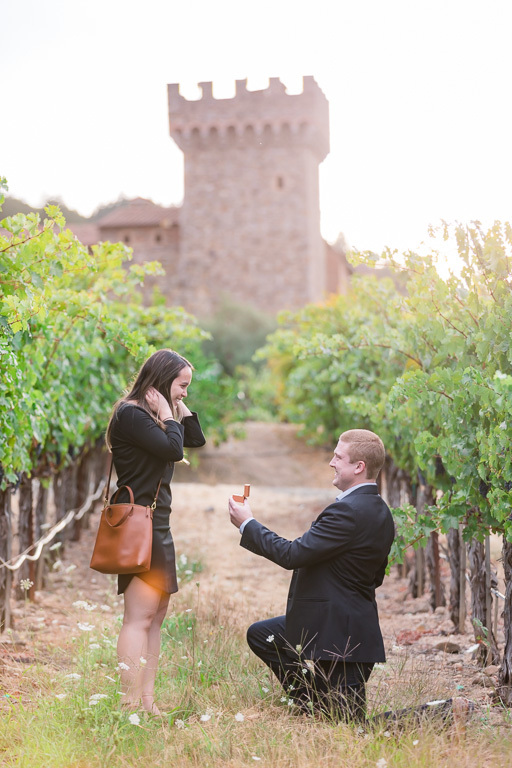 Early on, Scott had decided on a Napa Valley winery proposal, but he was a real planner and wanted the details to be perfect: before deciding where to propose, he spent a loooot of time researching various wineries, evaluating pros and cons, and asking for my opinion on different spots. 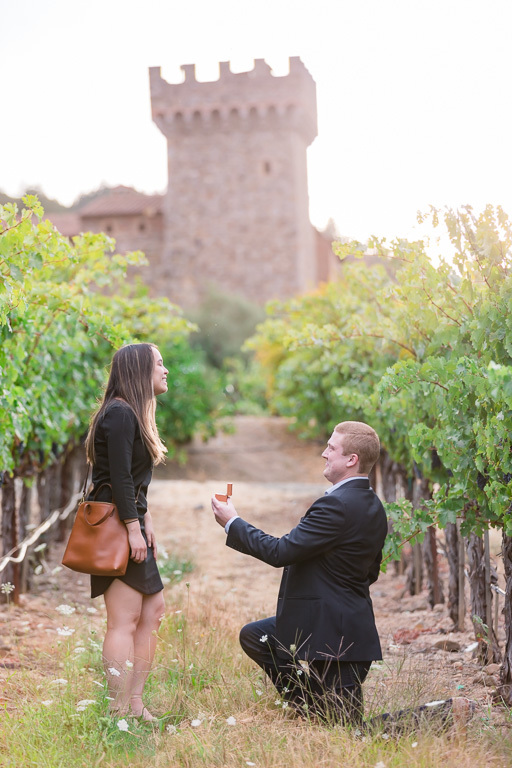 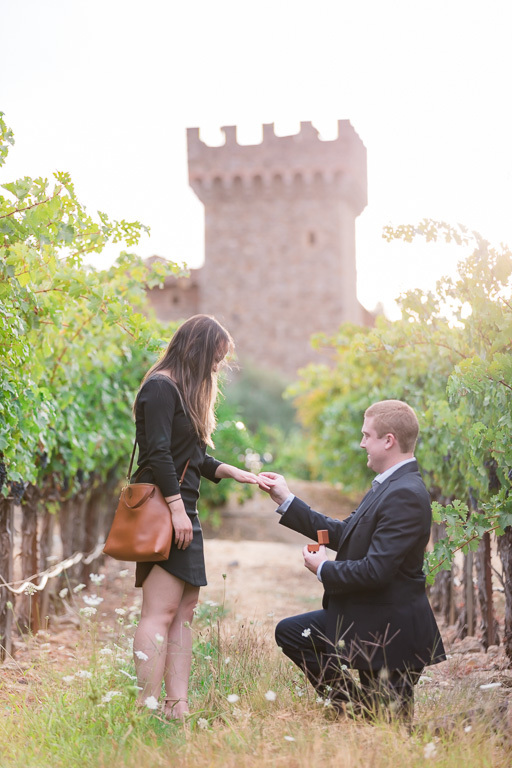 Eventually, he decided on Castello di Amorosa, with its picturesque vineyards and the grand castle overlooking it all. 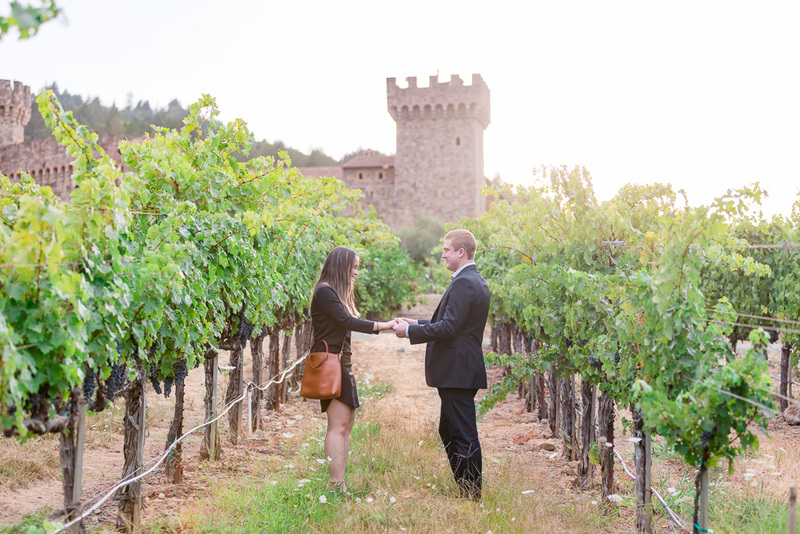 The two of them visited several wineries earlier in the day and saved the best for last, arriving at Castello just before sunset for a quick wine tasting, followed by a short walk in the vineyards. 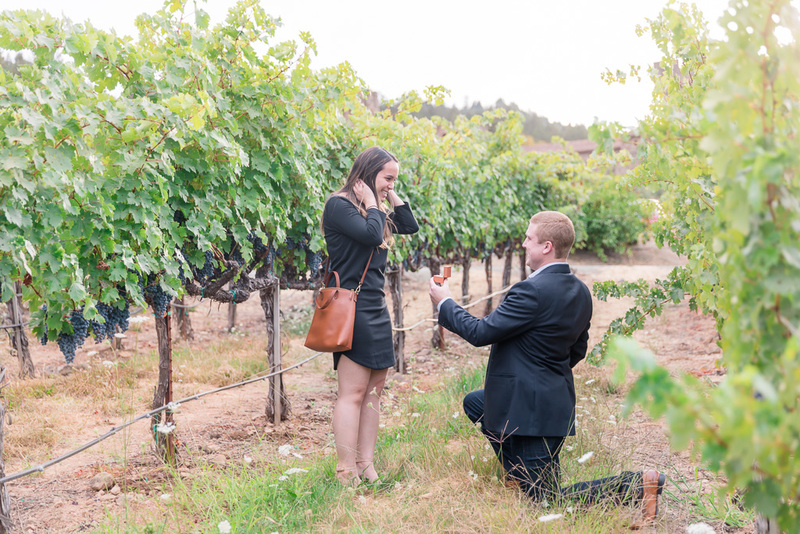 What happened there will be best described in photos 🙂 Take a look below, and congrats to Scott & Carina!